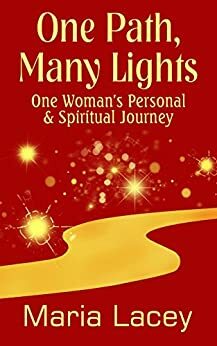 One Path, Many Lights: One Woman’s Personal and Spiritual Journey by Maria Lacey is a non-fiction book about the personal experiences that occurred during a period of twelve months in the the author’s life after she returned home following a traumatic relationship breakdown (although details of this inciting event were not mentioned). Maria is a teacher, counselor, and healer who can see and feel spirits and energy. After overcoming her own trials and adversity, she is able to help others with their own healing, even as she continued to battle periods of self-doubt. The author’s purpose in writing this book is to inspire and bring hope into others’ daily lives. The author’s writing style is very engaging and I really enjoyed it. It almost felt as though a close friend was talking to me and retelling various events that had happened in her life, rather than reading a book about someone I’d never met. It seemed like one bad thing after another happened to Maria, with a number of medical issues and the deaths of her two cats, Kovu and Moggy, all occurring within a very short length of time. I felt sympathy for all the things she had to deal with, which she handled with amazing grace. Then, through writing this book, she turned her personal hardships and tragedy into something positive. Her message resonates with the reader because we are always hardest on ourselves, and need to learn to love ourselves unconditionally, flaws and all. It was interesting reading about the range of people she worked with in her practice, from pregnant women to men struggling with the changes brought on by retirement. I loved reading the part where the spirits of Maria’s beloved pets visited her often. I wish that was true for me, too. I didn’t enjoy reading the channeling sessions as much as the rest of the book. It didn’t hold my interest quite as well. The section about her childhood felt a bit disjointed, jumping from one event to another with abrupt transitions, and they in chronological order. There were some grammatical issues and typos that distracted from the narrative, but overall, the book was a very enjoyable and inspiring read. The footnotes in several chapters were helpful to provide additional information and clarification. I would recommend this book to anyone in search of inspiration and spiritual growth.